Oakland has a rich, 30-year tradition of community planning. The impacts of this commitment are numerous, and include the development of over 320 housing units, the creation of a successful workforce development program, and the establishment of a Business Improvement District, to name a few. This comprehensive planning processes engaged stakeholders in every neighborhood in Oakland to envision a future that would be harmonious and prosperous for all of its diverse interests. This 1980 landmark event resulted in the creation of Oakland Planning and Development Corporation (OPDC). 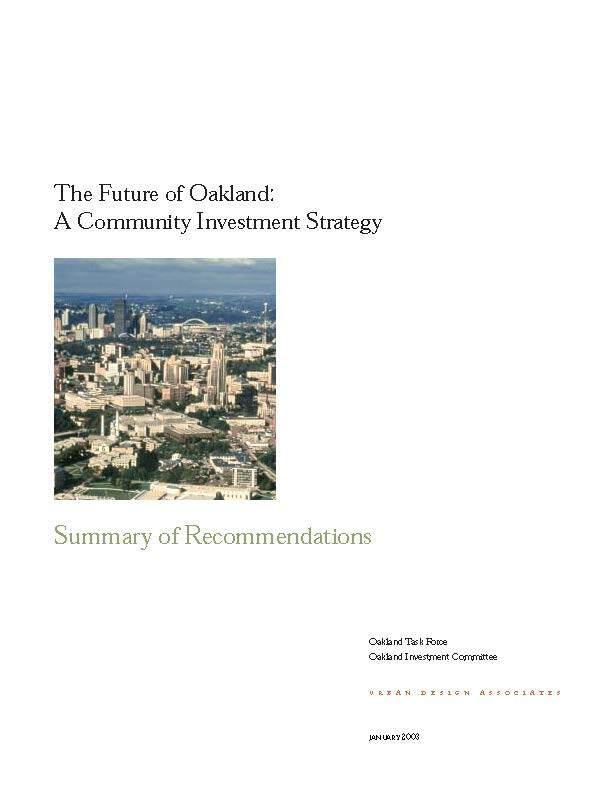 In 2002, this plan was created to accomplish a future strategy for Oakland through the following initiatives: to create a sense of place in Oakland, make it easier to get into and around in Oakland, stimulate neighborhood revitalization, and foster technology development. Successful outcomes of this plan include the development of Schenley Plaza and high quality upgrades to Oakland's transportation infastructure. Created in 1998, this plan established four primary goals for the Oakland community: to improve Oakland's residential market; enforce building codes, particularly among rental properties; identify zoning changes to improve neighborhood conditions; and improve the appearance of Oakland's major corridors.